Given that Denmark’s highest natural point is a mere 170 metres above sea level, and its tallest building is just 120 metres tall (Herlev Hospital), you wouldn’t imagine the country is popular with climbers. 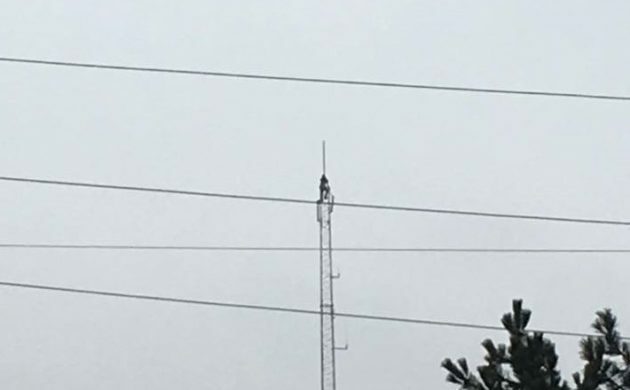 But that hasn’t stopped a daredevil climbing a communications tower near Bispebjerg Station in northwest Copenhagen this afternoon. After all, communication structures can get pretty tall. There are at least 12 transmitters in Denmark that easily exceed 300 metres, with super-turbines the size of the Eiffel Tower on the way soon. 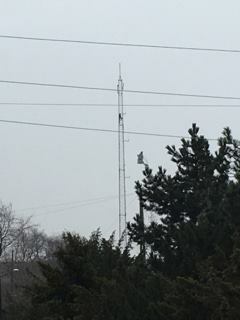 The climber was spotted by an eagle-eyed reader of CPH POST, who took a photo of the daredevil in question from his vantage point on Tagensvej in Nørrebro. The fire brigade are at the scene and the man is coming down now. The question is: will he come down to applause or a police welcome, or both.